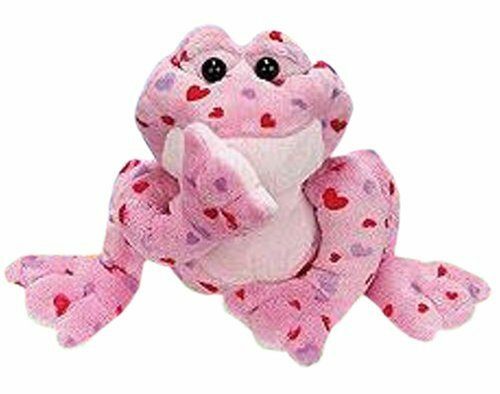 Limited Edition Release Webkinz Love Frog Only $5.24 Shipped! You are here: Home / Great Deals / Amazon Deals / Limited Edition Release Webkinz Love Frog Only $5.24 Shipped! Ok, this is a weird deal, but worth the final cost! Right now at Amazon you can get the Limited Edition Release Webkinz Love Frog for Only $1.24 plus $4 shipping or a total of $5.24 Shipped! Down from $15! If you simply adore fabulous frogs, this lovely amphibian is sure to hop away with your heart! What does a Love Frog love to do? Play with their friends, cook secret recipes and , of course, spend lots of time hanging out with you! For a pal you’re sure to adore, adopt a Love Frog!